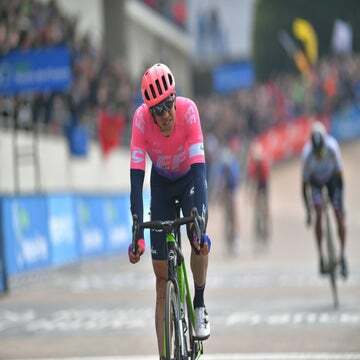 WAREGEM, Belgium (VN) — Cycling’s holy week is upon us, and in the next 10 days the world’s best classics riders will bounce over the cobblestones at the Tour of Flanders and Paris-Roubaix. Both races carry their own distinct flavor. Roubaix dishes out constant punishment with long sectors of rough, bumpy pavé. Flanders, meanwhile, serves up painful, leg-cracking climbs across an unending series of narrow, winding roads. Both races attract thousands of zany fans who stand alongside the roads all day to swill beer and cheer for their heroes. Which race serves up the best ambiance? Which one dishes out the most physical punishment? Which race is just harder to win? Journalists like me can be armchair quarterbacks in the Flanders vs. Roubaix debate all we want. But the riders know best. We’ve all seen those iconic images of exhausted riders, coated with mud and dust, as they pedal over the Roubaix velodrome to finish the race best known as the “Hell of the North.” Paris-Roubaix dishes out more than 50 kilometers of cobblestone roads that are so rough and uneven, that simply holding onto one’s handlebars is a challenge. Unsurprisingly, my poll delivered a near-unanimous answer when I asked which race delivers the most physical punishment and suffering. It’s Paris-Roubaix. Now, riders did say that Flanders presents a tougher physiological test, since the speed of the peloton is so uneven across the many bergs dotting the course. The peloton accelerates into each berg, causing riders to go anaerobic before they even hit the climb. They must then generate enormous power up the climb, and try to recover on the descent. The repetition of this effort puts a rider through extreme physiological pain. Still, the stones of Flanders are tame when compared to those dotting the Roubaix course. Those rough roads dish out abuse to a rider’s hands, arms, shoulders, and lower backs. Simply to finish in the Roubaix velodrome is an achievement. We journalists often gush about the otherworldly fan experience you find at the Tour of Flanders, which is born from a magical combination of bergs, bikes, and lots of high-ABV beer. Guess what? The pro riders appreciate it too. My poll delivered a unanimous answer to this question. The Tour of Flanders has the best ambiance. 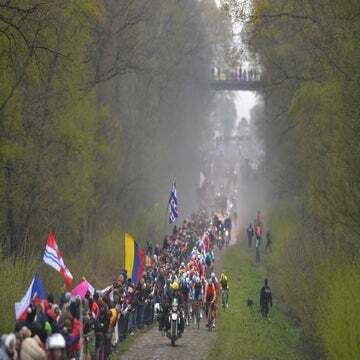 Roubaix does have its own screaming crowds, of course, and fans swell within the Arenberg Forest and Carrefour de l’Arbre. But the riders simply fly by those crowds, which limits their ability to enjoy the rowdy atmosphere. At the Tour of Flanders, by contrast, the riders slog their way up the steep bergs while fans cheer them on. The finishing circuit across the Oude Kwaremont and Paterberg concentrates fans into one area, and the enormous VIP tents lure fans to the roadside. There’s another factor to Flanders’s otherworldly ambiance. The race comes after two weeks of racing across the Flemish countryside, and all of the events drive interest in the main event. Throughout this block of racing, the crowds and energy build. This question generated mixed answers. 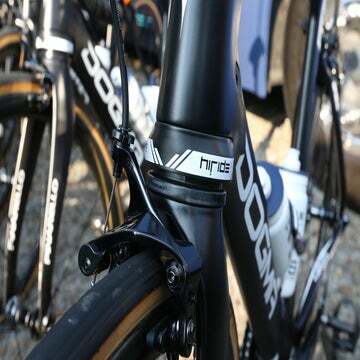 However, more riders felt that the Tour of Flanders produced the most challenging race tactics. Breaks form and are then brought back. The winning move often goes dozens of kilometers from the line, forcing the chase group to play cat-and-mouse. Riders felt that Paris-Roubaix was most often won by the strongest and toughest rider in the race, while Flanders required more race craft and teamwork to win. Plus, the narrow and winding roads dotting the Flemish countryside place a premium on course knowledge. Roads constantly twist from right to left, causing the group to swell and string out. Many riders traced their love of Paris-Roubaix back to their experiences as a cycling fan. Whether or not this fact elevates Roubaix over Flanders is open for debate. Many riders followed up their answer with a familiar caveat. “I would say Roubaix. But hey, if I could win Flanders I would also be happy,” Teunissen said.